Palazzi Palazzi, 2014. Oil and photographic collage on board construction, 58.5 x 154 x 25 cm. 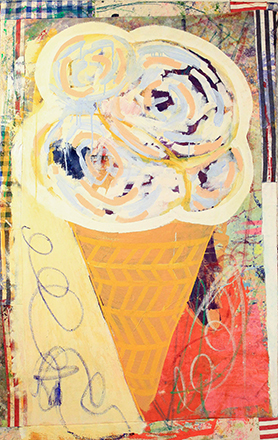 Leonard Johansson, Sprinkle Soft cone, 2015. Collage Fabrics,Acrylic, Oil, 160 x 100 cm. 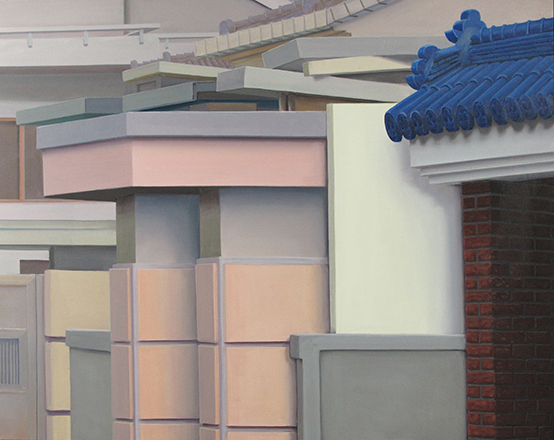 Ingo Baumgarten, untitled (blue tiled roof, jutaek decoration, Jeongnamdong, Seoul), 2012. Oil on canvas, 80 x 100 cm.